We create many clinic websites and this is easily the best theme we've found. 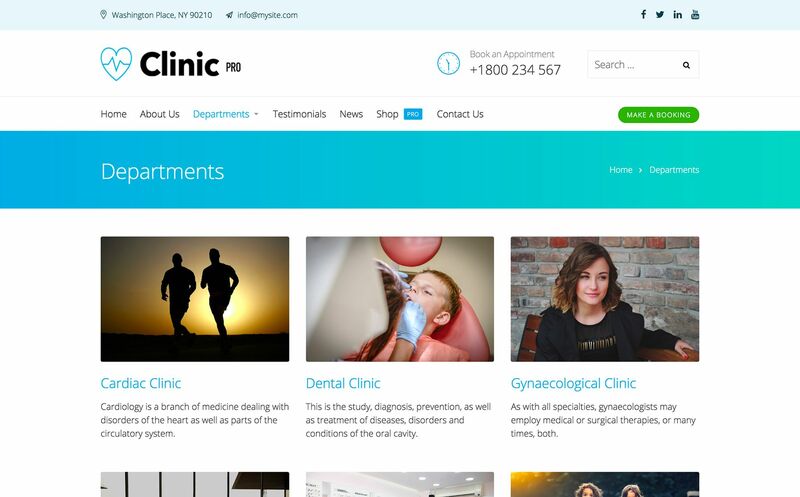 Clinic Pro is the perfect WordPress theme for those running any kind of clinic, doctorâ€™s office, dentist, physio, or hospital. 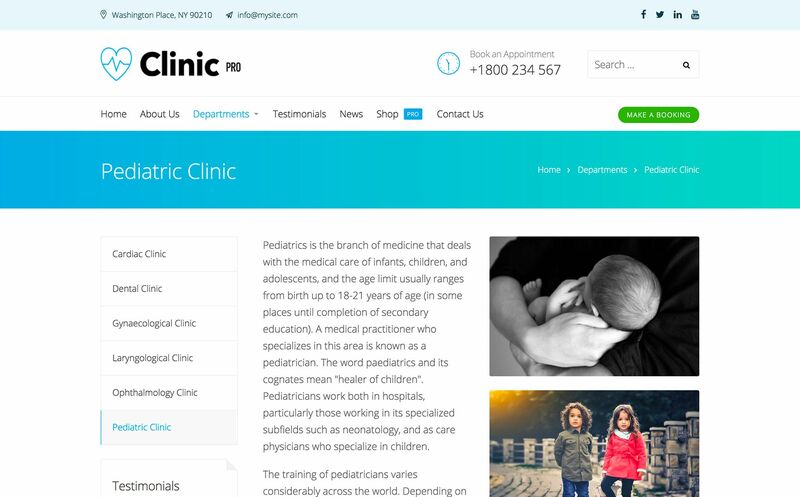 When you need a world class WordPress website for an clinic based business, Clinic Pro will have you up and running in a matter of minutes. 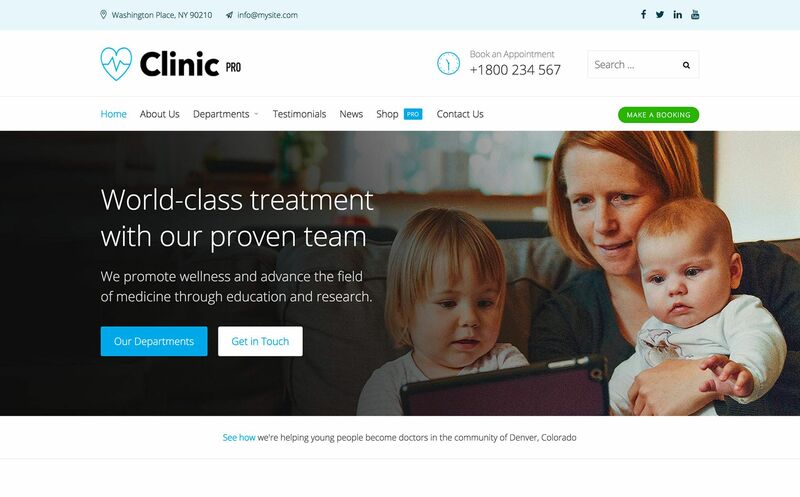 Don't waste hours trying to figure out how to re-create some demo site, Clinic Pro's clear focus on medical, health and clinic based businesses means we've thought of everything you might need for your website. Take a closer look at just why Clinic Pro is the right theme for you. 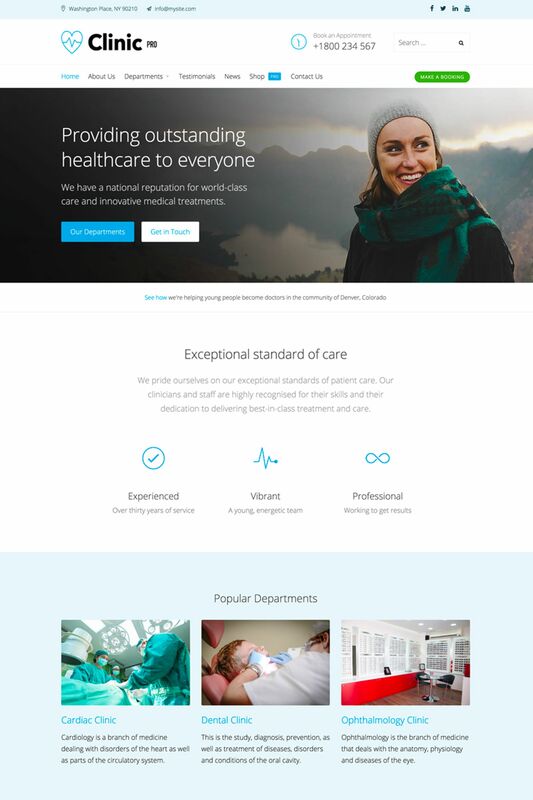 We love the look and feel of the theme, and it has turned out to be suitable in many ways for our new medical website which features many different manufactureres. We have been very pleased with the level of support from the developer on this Pro version of the theme. 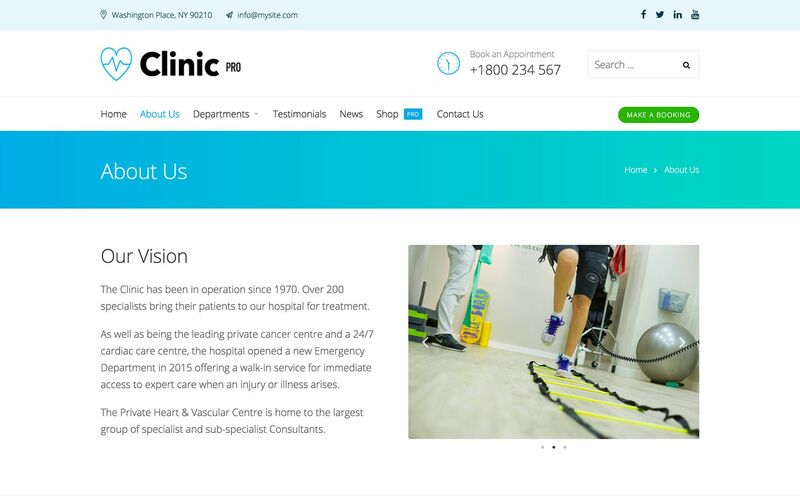 We create many clinic websites and this is easily the best theme we&#039;ve found. This template was extremely easy to use and change elements to fit the business.